One mission. Many women. Countless dreams. On Saturday evening, Soroptimist members and the community gathered together at the Clovis Veterans Memorial District to make some of those dreams come true. Denim and Diamonds, the major fundraiser event sponsored by Soroptimist International of the Americas (SIA), is a fun evening that includes dinner, silent and live auctions and dancing to live music. “All the tables are full,” said Soroptimist organizer Frances Devins. Co-sponsors of the evening included the Fresno County Sheriff’s Office, Meathead Movers, Old Town Clovis Kiwanis, Pacini’s Catering, A Book Barn and CVMD. Lively music was provided by the Red Bank Band. For auction prizes, local businesses offered everything from gift cards, jewelry, art work and clothing to a helicopter ride in Eagle 1. A live auction was conducted by Steven A. San Sebastian from Fresno Estates & Auction Company. The ever popular Dessert Raffle brought cheers and high fives from the happy winners as their scrumptious eye-catching taste treats were awarded. Soroptimist (pronounced suh-rop-tuh-mist) means “best for women” – women at their best helping other women to be their best. It’s a volunteer organization for business and professional women who work to improve the lives of women and girls through financial scholarships and educational programs. Through the global efforts of over 120,000 members in 130 countries and territories, programs are established that lead to women’s social and economic empowerment by way of education. The main program, Live Your Dream Awards, distributes over $2 million annually to 1,500 women and girls throughout the world. The newest program, “Dream It, Be It: Career Support for Girls,” provides tangible strategies enabling girls to accomplish their career goals. Another program, LiveYourDream.org, is a self-motivated online community that supports women and girls to live their dreams and empowers offline activities. Each SIA chapter determines where to focus their specific efforts. 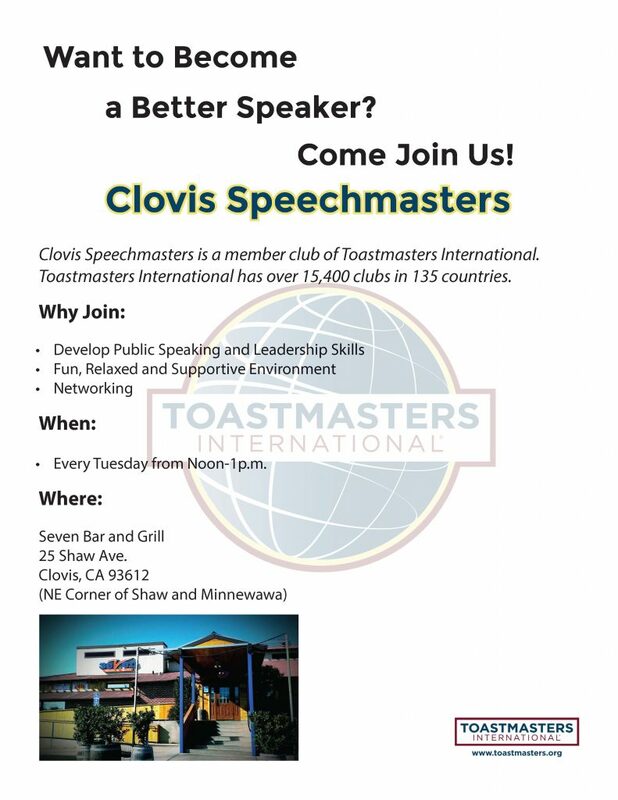 In Clovis, the local club awards scholarships and works alongside the Marjaree Mason Center, Evangel Home, Family Healing Center, CUSD Kids in Transition, San Joaquin College of Law Scholarship, and S Club at San Joaquin Memorial High School, among others. The coming year will be a busy one. Plans are in the works for a “Dream It, Be It” Girls Conference, prom dress event, Live Your Dream Awards and Cottage Tea and Awards Ceremony in May. The purpose of Stuff the Bus, another Soroptimist community event, is to collect school supplies for students in need. Anyone interested in learning more about Soroptimist International is welcome to attend a meeting as a guest. Business meetings are held at CVMD, 808 4th Street, Room A, on the first Tuesday of the month at 6 p.m. Program meetings are held at A Book Barn, 640 Clovis Ave., at noon, on the third Tuesday of the month.